1.05 MB, 1920x1080px, 4.4 secs. 8.63 MB, 1920x1080px, 4.4 secs. 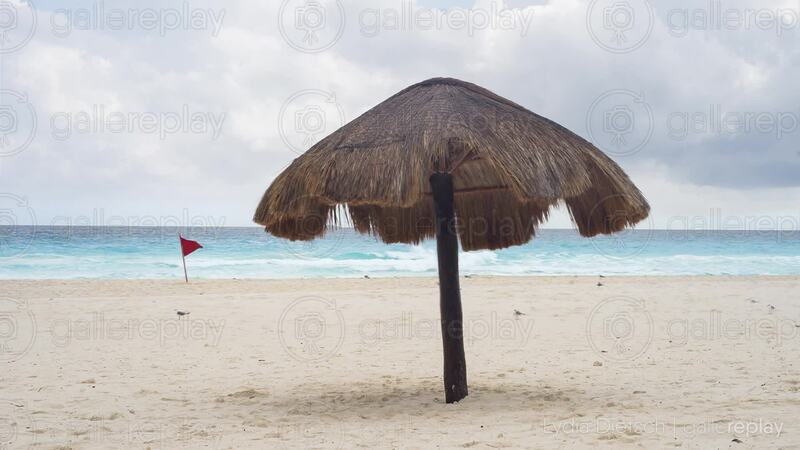 A straw-covered parasol stands on a beach with white sand. In the background the waves break against the beach and a red flag waves in the wind.